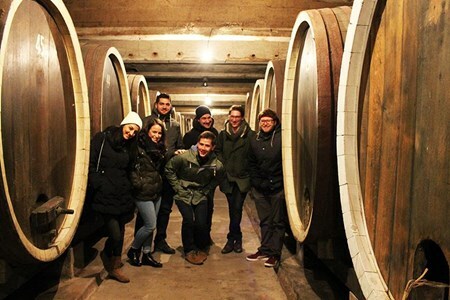 Wine tasting and sommelier training is not just for the 'elite': absolutely anyone can enjoy this unique experience. Taking some wine 101 classes with us, or booking yourself in to a beer course, will teach you all that you need to know to savor the world's finest wines, spirits, and craft beers. We have courses to suit all tastes! Located just 30 minutes outside of Seattle, send an interesting evening finding out exactly which gin is right for you. Which unique blend best represents your style. You will also learn about the history and production of gin, while enjoying a couple of classic Gin cocktails. Taste the many independent flavors used to make most gins in the world. What does orris root taste like when isolated from other flavors? What about elderflower, or cucumber? Create your own personal botanical recipe which you can take home with you! If you could make your perfect gin, what would you include? What would you exclude? In addition to the standard juniper flavor (big or minimalist), do I want my gin to have: Heat? Citrus? Spice? Floral notes? This personal gin experience represents who you are as a gin fan! A truly unique experience where you can craft your own gin with personalized assistance in an intimate group environment and even take it home that evening! You can also reorder your gin recipe at any time (and why wouldn’t you, because yours is the best ever). 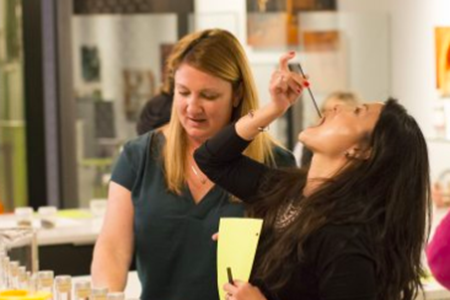 A fun and interactive Belgian beer tasting workshop that plays with your senses! In different rounds you will get to find tasting beer is something you do with all your senses: sight, ... moresound, smell, touch and of course, taste! 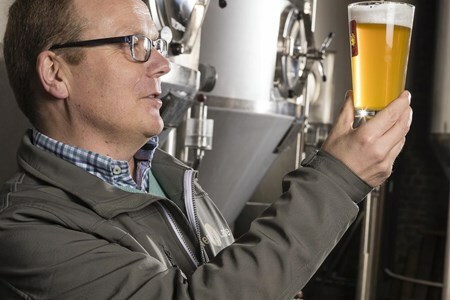 This beer tasting workshop is a feast for the senses with professional explanations by expert beer sommelier Werner. For sure, at the end of this workshop you'll never look at beer in the same way again! A little more about Werner: It’s hard to meet a more authentic Belgian. His two biggest passions are chocolate and beer. He has found a way to fuse Belgium’s most famous products into interesting chocolate and beer pairing tastings. Werner has truly found a hole in the market. His years of experience as a as a chocolatier for the world famous Callebaut Belgian Fine Chocolate and his knowledge of beer as a beer sommelier make him an expert in both fields. Werner's philosophies: Craftmanship is an art. Passion is everything. After a lot of research, Werner now organises interesting beer and chocolate tastings all over Belgium. His knowledge and expertise in beer and chocolate is impressive! Pursue us to the surprising expedition via the Cretan flavors and experience the real Cretan lifestyle. 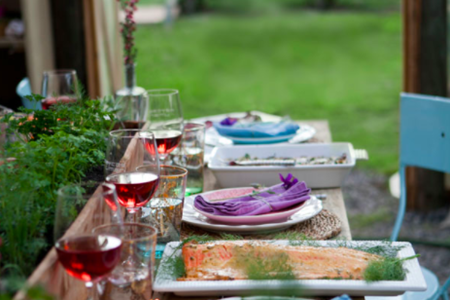 At the towering summit of the White Mountains, we team will cook for you some delicious traditional home-grown meals. Utilizing hale and hearty organic and bio Cretan ingredients such as fresh vegetables picked from our garden, local meat, extra-virgin olive oil, dairy products and the most sweet-smelling herbs. You will get the opportunity to stroll in the region of our vegetable gardens to observe, feel, smell, taste and touch the real produce of mother nature. We will also disclose the secrets of local herbs, the way Cretan olive oil influences the people’s health and helpful tips about the local products that we use. 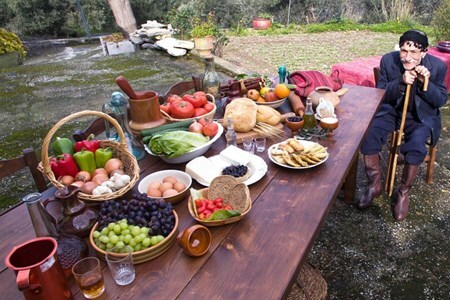 We will organize a time-honored Cretan recipe with our own hands; be trained how we, Cretans, prepare food. After our incredible cooking know-how, we will follow a trail into the mountain walking within the purely natural world. Exploring the region, we will see the traditional Cretan shepherds hut known as ”Mitato,” we will go into an olive field and perceive how we reap the olives and study more about the blooming vegetation and flowers. 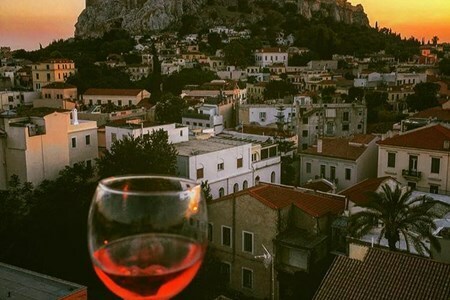 Going back to the house you will taste delicious Cretan wine together with local cheese and arrange some cocktail snacks like “Tzatziki” and “Ntakos.” The Mountain View is breathtaking from our window. Enjoying the fantastic wine, you will experience heaven on earth! In the period in-between our meal will be all set. We will taste our dishes, together with fruity neighborhood wine and enjoy some traditional jar desserts at the conclusion. The healthy and exceptional Mediterranean diet and the renowned Cretan food has already been put before your eyes. Cognac is a spirit unlike any other. Cognac can be drunk as an aperitif or digestive, as a long drink or a cocktail. 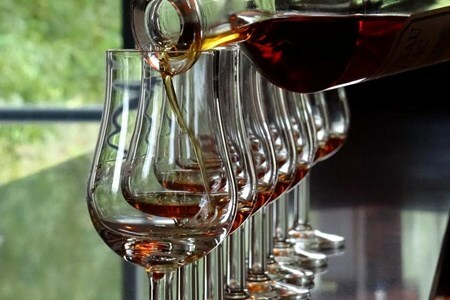 During the morning of your workshop, you will participate in a ... morecognac tasting with a certified cognac educator expert who will introduce the elixir of cognac, and help you discover the various distinctive flavors, characteristics, vintages and blends of the great cognacs. What is the essence of cognac? How can it be compared with perfume? What are the best ways to enjoy your cognac? The workshop takes place in a dedicated room. A presentation and tasting of 3 cognacs from different vintages, ages, and blends. No matter if you have no experience mixing drinks, have taken a bartending course, or are experienced in bartending - this is the mixology class for you! Our highly interactive mixology ... morecourse allows you to build and enjoy your very own cocktail creations. Our 4-hour crash course in mixology will have you entertaining your guests and clients in no time. We will take you on a mind-blowing excursion through the world of mixology, from the essentials of cocktail creations to the subtle nuances of pairing fresh fruit and herbs with unique spirits. Cooking and wine tasting of Sumadija The food and wine tasting tour to the Serbia’s Sumadija Wine region is quite a magnet! You’ll have the opportunity to experience the tasty wine ... moreand dishes of the western Serbian people. The local experts will show you how to come up with authentic local cuisines using home-grown ingredients. Of course, you’ll love to visit some of the leading wineries and have a taste of the wines they make. You’ll have to arrange either for a pick up at your hotel room or at a station to meet #YourSerbiaHost. Then, you’re scheduled to proceed to the eastern direction of Sumadija to visit two wineries. Well, each has a unique way of processing wine. You’ll first come across Radovanovic winery; one of the pioneers in modern winemaking in Serbia. The winery started about thirty years ago and is currently among the top three wine producer in the country. The winery is well known for the superb Cabernet Sauvignon which has secured various international awards. Visiting the winery and at least tasting a few labels is quite adventurous! The second winery is Despotika. Well, this is a younger winery whose ambitious owner aims at making authentic Serbian wines using Morava and Prokupac grapes. Despotika has their wine aging in barrique barrels made from the Serbian oak. You’ll love the taste of various labels of wine they make. Later, we’ll take you to Mala vrbica and Colovic for dinner and some accommodation for the night. The day is scheduled to start with a sumptuous breakfast. Later, you will be required to get the required ingredients to start the cookery class. You’ll take a walk in the woods to get some forest fruits. Ivan will be our host and guide while his mother the cooking trainer. In the afternoon, we’ll enjoy the dishes for lunch and later have time to relax at the pool at a stone throw or stroll around the area. The place is perfect for nightlife. Hence, taking some time outside to admire the clear sky can be worthwhile. Of course, after staying for the nightlife, you’ll have to spend the night at Ivan’s place. The third day starts with us heading to the capital of Sumadija wine region; Topola. To begin with, you’ll land in King’s wine cellar that was set up in 1931 by Yugoslavian king Alexander. However, the winery is now state-owned. The next is Aleksandrovic winery. It’s probably Serbia’s most prominent winery. Finally, you’ll get to the young but promising Arsenijevic winery. All these wineries produce various labels that you’ll love tasting. Later, we’ll join Nemanja, the owner of Arsenijevic winery for lunch at a nearby restaurant and then leave for Belgrade. It will only take us an hour. This tour is available from mid-September to mid-April, for a duration of three nights and four days either Sunday to Wednesday or Thursday to Sunday. You will stay in a 3 or 4-star ... morehotel in the center of Athens. Athens is one of the world’s oldest capital. It is famed for its prehistoric sites and has numerous ancient ruins and places to see. It is renowned for hosting the first contemporary Olympic Games in 1896 as well as the 2004 summer Olympics. It is also home to Socrates, one of the best Greek philosophers and other great philosophers of the world. During this tour, you will explore the city of Athens, as a gastronome. You will have an opportunity to eat, taste, drink and cook as you discover the historical-rich streets of Athens. Arrive at the Athens International Airport. Check in at the hotel (provided at an extra charge) where our tour guide will welcome and brief you on the travel plan. Then dine and night at the hotel. Our guide, who is food enthusiast will help you sightsee culinary Athens at its best. The schedule includes a memorable legendary tour, to the restaurants, high-quality groceries, bakeries, sweet shops, dairies and spice shops. Through the tour, you will sample and taste most of the local Greek food. This food tour will end at the vibrant Varvakeios food market. The guide will lead you through the gastronomic geography of the city as you take pictures. The food tour finally ends with an enjoyable lunch at a Greek restaurant. After the fascinating food tour, you will have a chance to rest in the afternoon till we all meet during dinner. 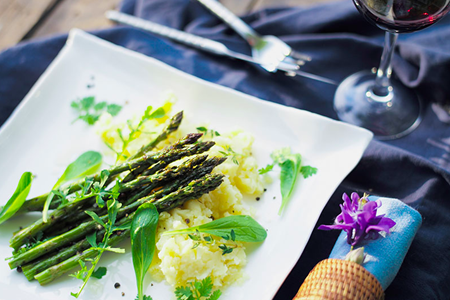 Dinner: You will have a chance to indulge in a Greek gastronomic meal which will be a 3-course meal at an awarded restaurant paired with a glass of wine. In the late morning, our chef will teach you how to prepare a full Greek lunch from the starter, the main course and dessert at a beautiful restaurant at the heart of Athens. You will also learn some Greek cuisines followed by wine tasting of various Greek wines. The afternoon is free for your activities. You can visit the Parthenon, or the Acropolis museum, or the archaeological museum of Athens or do some shopping. Dinner on your own or make a reservation at a quality restaurant. We will drop you off at the Athens International airport at an additional charge. Extra nights at the hotel can be added, so kindly inform us. 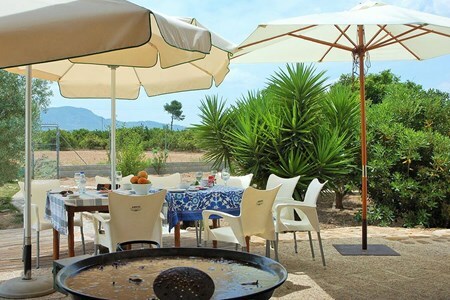 Taking cooking classes for Paella in Albufera Park Perhaps you want to learn how to prepare paella alongside sangria refreshment. Don’t worry; Albufera Park is the place to be. 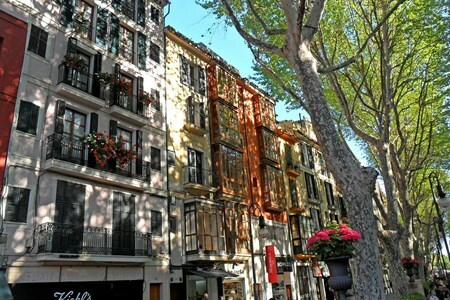 It’s ... moreamong the most beautiful places in Valencia. When you arrange with us, we’ll pick you at your hotel and head to the Albufera Park. Interestingly, you’ll be welcomed with a drink and a guide will explain what the tour entails; that is, what to see and do. 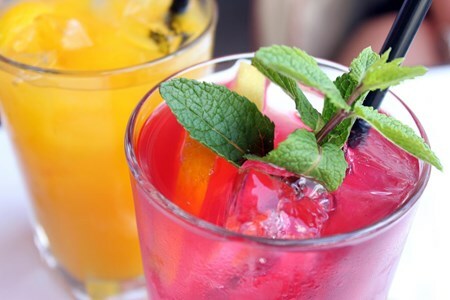 Well, all will revolve around paella and sangria- a traditional refreshing drink prepared using fruits and wine. Valencians use it alongside paella and other dishes during summer. You’ll then put on your chef hat and apron then get to work. A professional chef will take you stepwise in making paella. You’ll love the secrets and customs around paella and other Spanish cuisines. Soon, the paella will be giving a sweet aroma! You’ll then transit to sangria. You’ll have some fruits from the orchard alongside Valencian wine. Later, we’ll take the incredible paella lunch along with some salad and sangria. You’ll then get a Diploma of Authentic Valencian Paella Ambassador and become a certified expert! Later, you’ll finish with taking a stroll around the Albufera Park before going back. Enjoy a weekend filled with charm, comfort, wine, and gastronomy in the heart of Chile’s Wine Country. Experience an unforgettable culinary weekend at Mapuyampay Lodge Gastronómico ... more& Cooking School hosted by Vicente Escobar, a wine lover, entrepreneur and poet, and Ruth Van Waerebeek, an internationally acclaimed chef, and cookbook author. Mapuyampay is located just 2.5 hours south of Santiago - Chile's capital, nestled in the foothills of the majestic Andes Mountains. We are located off the beaten path, right in the heart of Chile’s wine country and only 50 km away from the Andean village Los Queñes, and the colonial town of Santa Cruz. The ideal place for interesting day trips and exploring Chile’s wine country. 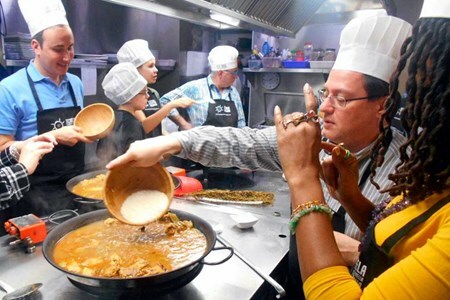 Understand how to prepare Spanish paella and taste the local wines and products Taking this tour will expose you to the Valencian cultures and customs. Tasting of products as you stroll ... moredown the old town and Valencia Central Market. There’s a lot to see and do once there. To begin with, you’ll start with a guided stroll. Here, you’ll experience the glamorous sight of the Valencia Central Market. You’ll love the sight of the postmodern building along with the wide variety of fruits, vegetables, herbs not to mention fresh seafood. You’ll love the experience! You’re then scheduled for product and wine tasting where you’ll have the opportunity to try a few local products as well as the finest from their vineyard. Later in the evening, you’re assured of a worthwhile experience; you’ll learn the preparation of authentic Valencian paella at the school of paellas. As the professional takes you through the stepwise procedure, he or she will explain the culture and history behind the cuisine. As the paella is getting ready, you’ll be served with an aperitif with Valencian wine, typical tapas or even craft beer. Later, a nice dinner will be served and awarded a diploma as a paella chef expert! We’ll then take you back. If you’re a tapas and wine lover - well, this is the tour for you! The trip sets off with a visit to a famous winery. Here, you’ll learn a few secrets of winemaking. This is accompanied ... moreby tasting several labels. The cooking classes are set to begin later in the evening. Upon prior arrangements with us, we’ll pick you from your hotel room in the morning. 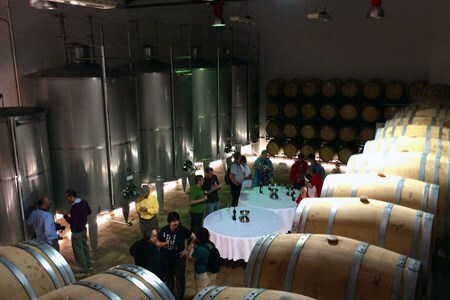 Our first destination is a winery situated in Alfas del Pi village. The guide will explain to you the whole process of winemaking from the vineyard all through to the fine bottled wine. Of course, you’ll have the opportunity to taste some wine from Chardonnay and Muscatel grapes. Ranging from the white wines, red wines all through to Alicante wine, these deluxe will make your visit worthwhile! After wine tasting, we’ll proceed to tapas class. Here, you’ll learn to cook the tapas cuisines. The school is situated in Benidorm. An expert will take you through the whole process at the same time explaining the custom and traditions surrounding the cuisine. As the dish gets ready, you’ll be served with an appetizer and later enjoy the tasty cuisine. Taking a stroll before closing the tour can still be worthwhile! Enjoy 4 days filled with charm, comfort, wine, and gastronomy in the heart of Chile’s Wine Country. Experience an unforgettable culinary weekend at Mapuyampay Lodge Gastronómico & ... moreCooking School hosted by Vicente Escobar, a wine lover, entrepreneur and poet, and Ruth Van Waerebeek, an internationally acclaimed chef, and cookbook author. Mapuyampay is located just 2.5 hours south of Santiago - Chile's capital, nestled in the foothills of the majestic Andes Mountains. We are located off the beaten path, right in the heart of Chile’s wine country and only 50 km away from the Andean village Los Queñes, and the colonial town of Santa Cruz. The ideal place for interesting day trips and exploring Chile’s wine country. Learn to cook typical Spanish dishes starting with a market visit in the center of Palma de Mallorca, Spain. This market tour is meant for all who wish to learn how to prepare typical ... moreSpanish dishes. Spend your afternoon combining the fun of a cooking class plus tasting local wines and traditional products. You’ll learn to cook up a sumptuous Spanish lunch dishes! Your experience starts at the cooking school. Here, you’ll find expert chefs to take you through the whole cooking process. They will explain various secrets around the Spanish traditional dishes. It’s mind-blowing! You have the chance to visit the old Santa Catalina Market. Here, you’ll have the chance to see and savor various local products as you buy some ingredients to use later in your cooking class. Your head chef will take you through the recipes of traditional Spanish dishes such as gazpacho, Spanish tortilla, and Mallorcan paella - just to mention a few. Later, we’ll taste the dishes in a classic dining room with a perfect atmosphere. Here, you’ll also have the chance to taste some local wine. The best part, you’ll be able to go home with all the recipes and will definitely have something to surprise your friends and family with back home!